Thank you everyone for such a fantastic year! It was surreal to bring my dream to life of having my own studio and inviting you to come in and create. I am extremely grateful for all your support! 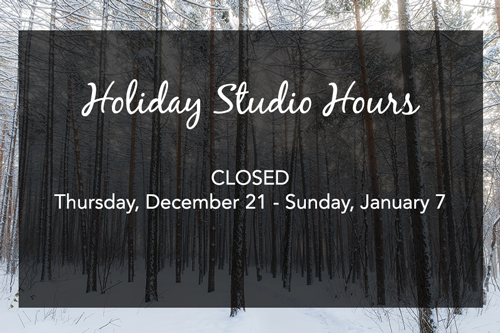 But in the meantime, the studio will be closed from Thursday, December 21 – Sunday, January 7 to rejuvenate and bring these visions to life. Even though the studio may be closed, online registration for workshops and courses is still available, along with purchasing gift certificates!